Asymmetrical tiara with pearl encrusted band and side detail of wire worked flowers in varying sizes. 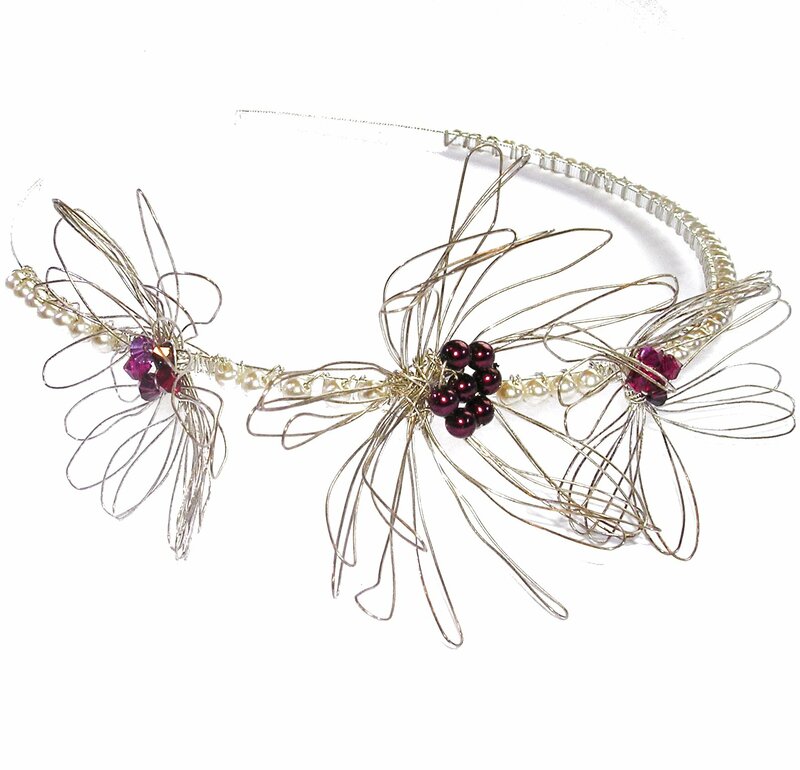 The inner detail of the flowers are created with clusters of Swarovski crystalsand small pearls. 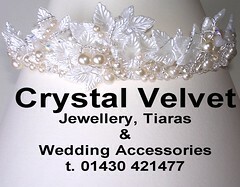 This tiara can be created in colours of your choice of with Swarovski crystal band rather then pearls. The metal work can be created in other colours.